About 46% of our respondents began using Patanjali products after recommendations from friends or relatives. Though the (direct) influence of Baba Ramdev Yoga camps appears low in this survey, these are a vital channel for Patanjali. We found that most of... Read More. 08 Sep Patanjali is here to stay! 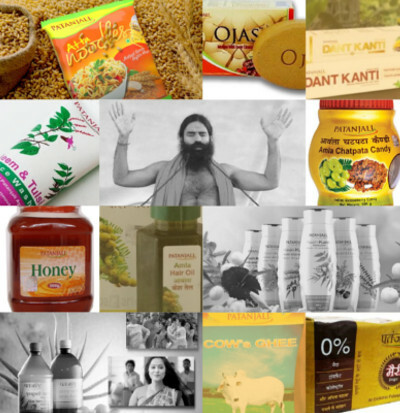 Over the last few years, Patanjali Ayurved has emerged out of nowhere to become one of India’s leading FMCG brands. News reports suggest that revenues in FY16 have crossed Rs 5,000 crores. The company is present in all kinds of product... Read More. Mar 2014: Corporate governance is a subject that attracts a lot of media attention, particularly just after a scandal. Regulation only ensures compliance. Unfortunately, compliance does not equal commitment to corporate governance. This was one of the key findings of the... Read More. Dec 2012: Collaboration technologies today are being more widely deployed to not just reduce operational costs, but also to boost productivity. This report, commissioned by Mithi Software Technologies, captures the opinions of IT influencers and decision makers across India, on... Read More. 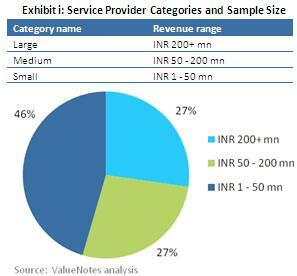 [vc_row][vc_column][vc_column_text]ValueNotes has conducted a study of the financial performance of pure-play Business and Market Research Outsourcing (BR/MRO) service providers (their size, operating margins, solvency, and efficiency), principally in the Indian BR/MRO industry. Here are some key findings from the study,... Read More. 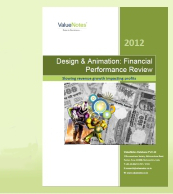 [vc_row][vc_column][vc_column_text]ValueNotes has conducted a study of the financial performance of pure-play Design and Animation (D&A) service providers (their size, operating margins, solvency, and efficiency), principally in the Indian design and animation industry. Here are a few key findings from the... Read More. 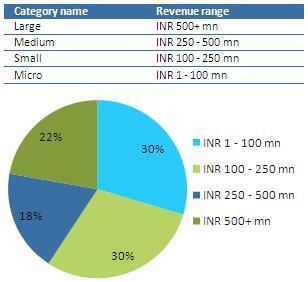 [vc_row][vc_column][vc_empty_space][vc_column_text]About the Financial Performance Report Series ValueNotes has conducted a study of the financial performance of 12 pure-play analytics service providers (their size, operating margins, solvency, and efficiency), principally in the Indian analytics industry. The study, which covers fiscal years 2007... Read More. 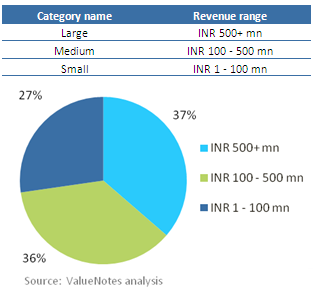 [vc_row][vc_column][vc_column_text]ValueNotes has conducted a study of the financial performance of pure-play Outsourced Publishing Services (OPS) providers (their size, operating margins, solvency, and efficiency), principally in the Indian OPS industry. Here are some key findings from the study, which covers fiscal... Read More. [vc_row][vc_column][vc_column_text]ValueNotes has conducted a study of the financial performance of over 30 pure-play Legal Process Outsourcing (LPO) service providers (their size, operating margins, solvency, and efficiency), principally in the Indian LPO industry. The study, which covers fiscal years 2007 through... Read More. May 2012: ValueNotes and Mithi Software Technologies collaborated on this report, which compiles the opinions of IT decision-makers across industries in India, on open source software (OSS) and IT collaboration technology. The report covers the present position of OSS and... Read More. IT layoffs - a passing phase, or a mark of permanence? Sharing economy: How will it affect traditional businesses?